A few years ago we revived a tradition that we started with our friends when our own children were young. Near Easter/Passover we would have a Seder coupled with a Christian communion service. The Passover meal is considered to be the meal celebrated with Jesus and his Apostles on Holy Thursday. Celebrating the Passover traditions and coupling it with Christian rituals is an enriching experience for people in the Christian tradition and connects us to our Jewish roots. Our children always enjoyed this special evening and they learned in a hands-on way how our faith heritages are connected. 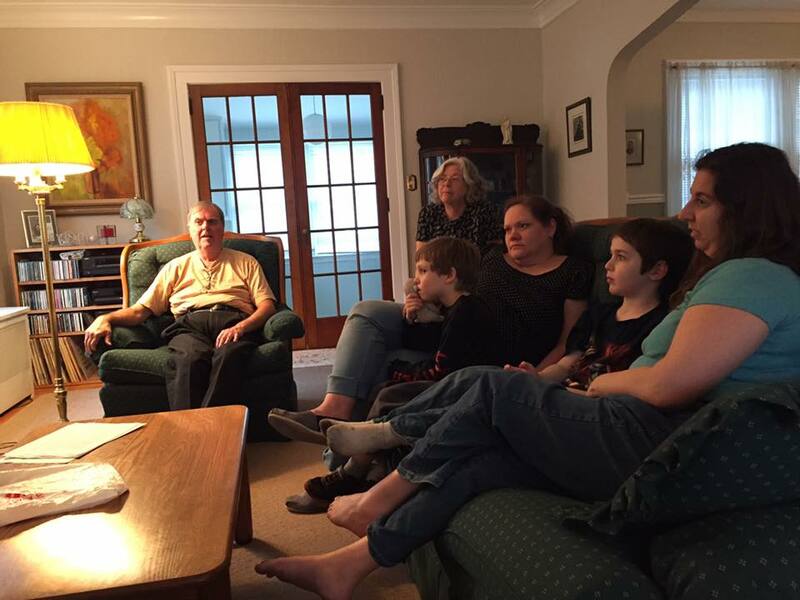 In 2013 grandparents – on both sides – felt great that the girls remembered this so fondly and wanted their children to experience it but we were concerned about how it would work with a 2 and 3 year old. We decided to proceed cautiously and be flexible. I wrote about our first Seder with our grandsons in this 2013 post. Now the boys are older and at this year’s Seder, they were eager to participate. We followed a similar format as we had a few years ago. 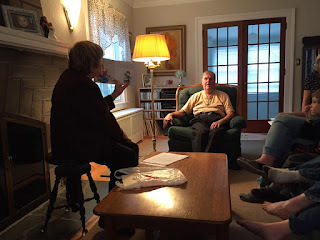 First we gathered in the living room and Joan, the other Grandmother, read a Passover book and both boys listened attentively and made comments. 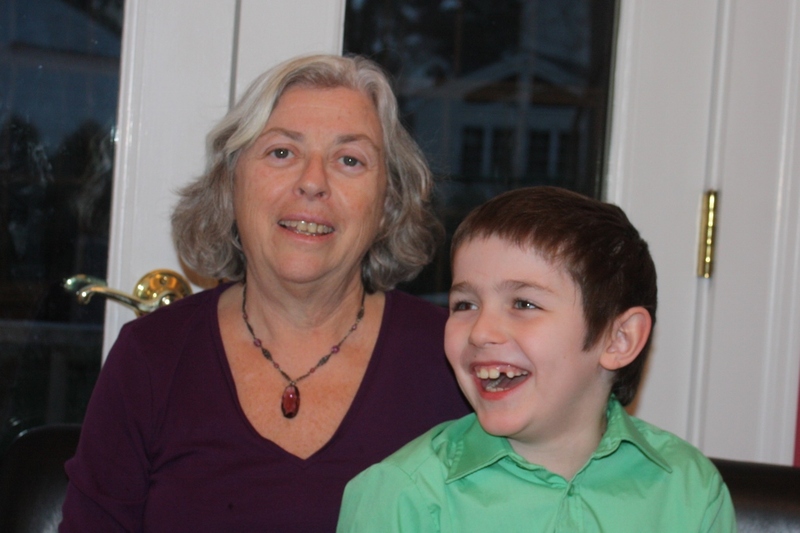 Before she even began to read, her grandson asked if he could ask questions. They remembered searching for the afikomen and where they found it. They both engaged with Joan as she read the Passover book. It set the stage for what would happen during the Seder. 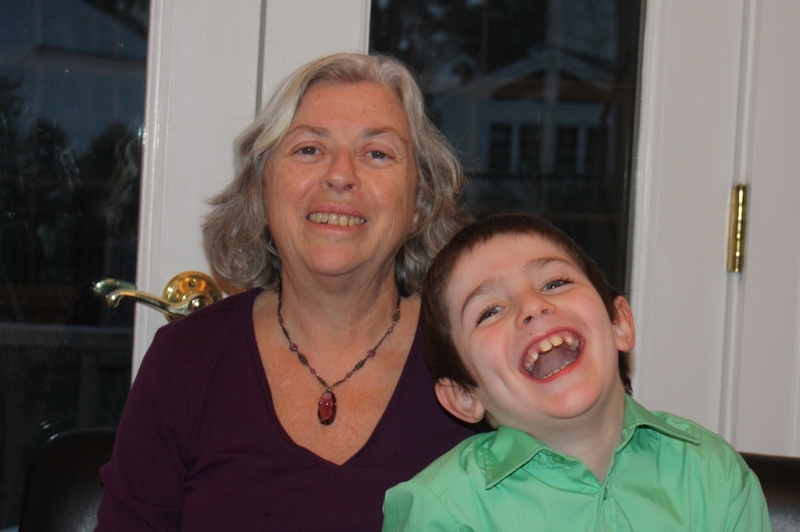 Then we went to the dining room table for our own Seder. We used a script and took turns reading. 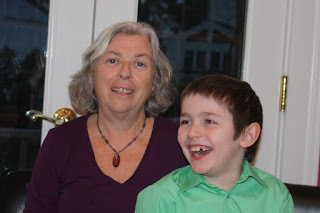 This year our grandson is in first grade and he took his turn reading. I was really impressed with his ability to read from the script when it was his turn. There was no accommodation of something simple to read – it was just his turn. He needed a little help reading parsley but not much else. 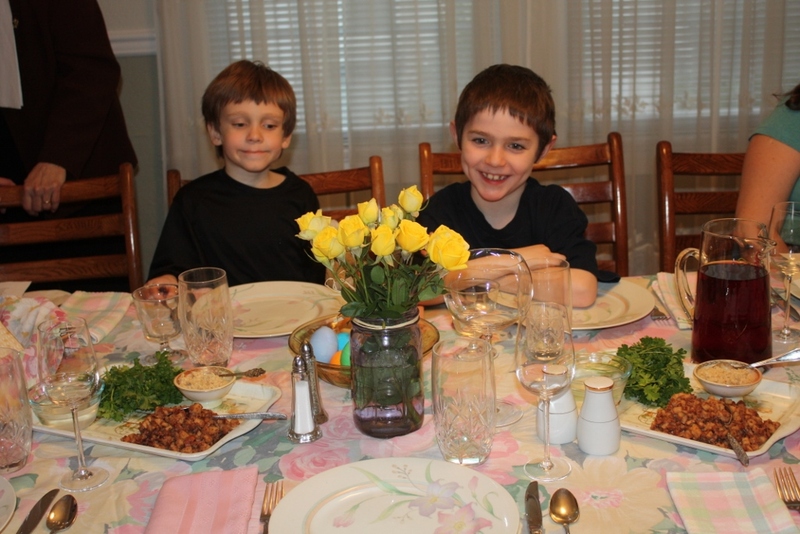 The boys had grape juice in stemmed glasses and each sampled some of the Seder foods. I think they most enjoyed opening the front door for Elijah and finding the afikomen. Two young boys always want to get up and move around and for it to be something you are supposed to do – well now that’s a good deal. Yes – we had two afikomen (Matzoh wrapped in a napkin) hidden in different places. 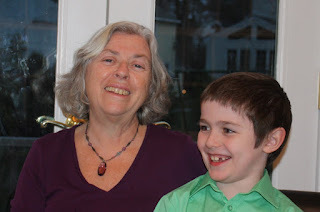 My grandson was proud that he could also participate in the reading. After the Seder service, we enjoyed a meal together – 2 families, 3 generations celebrating and enjoying a religious and historically cultural experience together. 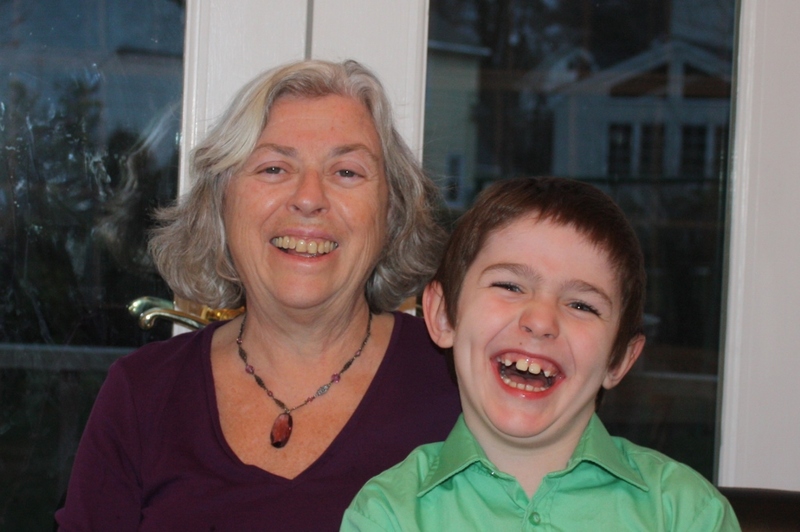 Joan and I are already talking about updating some of the material as the boys are older and are ready for a more advanced version next year. I encourage you to adapt your religious and spiritual rituals for the young children in your families and to establish traditions. Our grown children love the traditions they experienced as young children and now I appreciate the opportunity to celebrate these traditions with our grandchildren. I wanted a more up to date picture of my grandson and me for this blog and Zach wasn't just cooperative - he was a complete ham! Please vote in the comments - which one should I have in the sidebar to replace the old one there now. Playmobil is known for high quality playsets that children put together themselves and then enjoy imaginative play. It is a rare review that is written the same day that the item arrives in the mail. However, today our grandson was here when this arrived in the mail and he enjoyed playing with it so much that I started writing about it while he was still visiting. 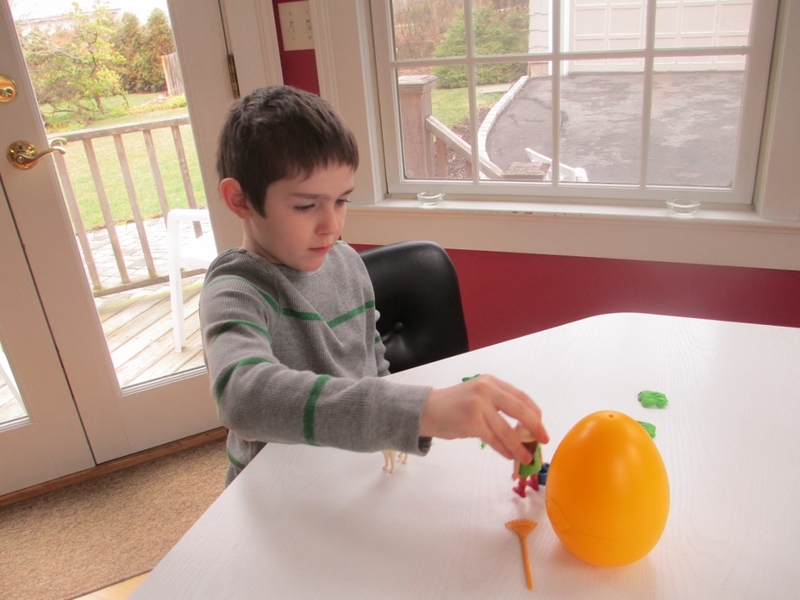 This is a perfect springtime toy and priced at just $9.99 it makes an excellent addition to an Easter basket or grandparent gift. 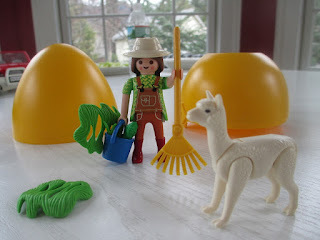 I requested the Zookeeper with Alpaca and was glad I did! 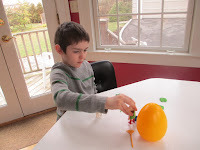 He enjoyed putting it together and started his own imaginative play even before it was finished. 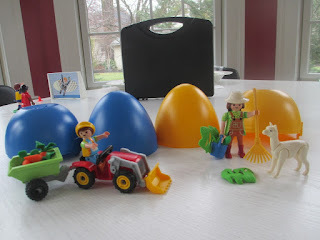 He talked about how it could play with it with his blue egg and down that came the Playmobil collection that is kept in Pop’s home office. 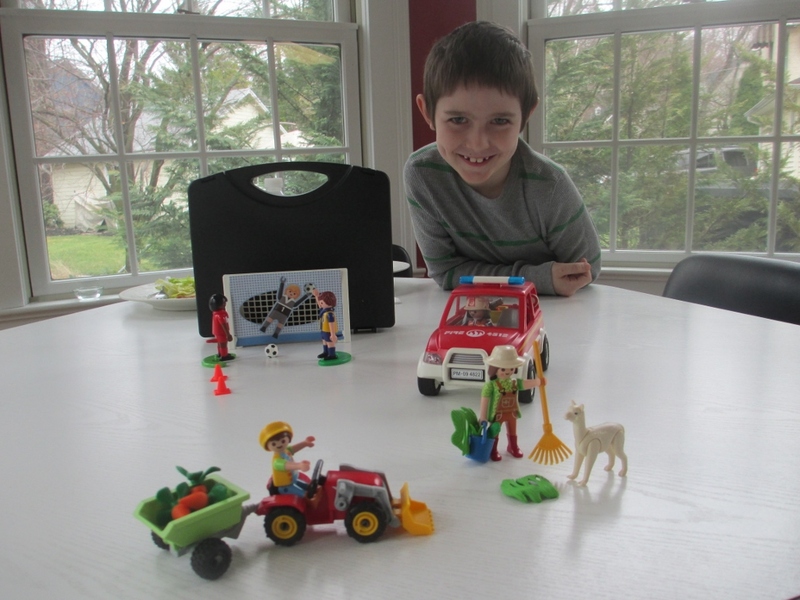 This picture includes the Fire Chief and Car set and the Soccer Carrying Case Play set. Check out the Amazon links below. This is a winner. Highlights of Toy Fair NY 2016 – Dolls! Dolls! Dolls! Last week I wrote my other Highlights of Toy Fair post which included everything but dolls. This one is only dolls. 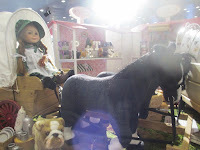 There were such wonderful dolls at Toy Fair that I thought they deserved their own post. So here it is. These are all my pictures – no stock photos -so they may not be perfect but they are real. It is always nice to see the dolls “out of the box”. 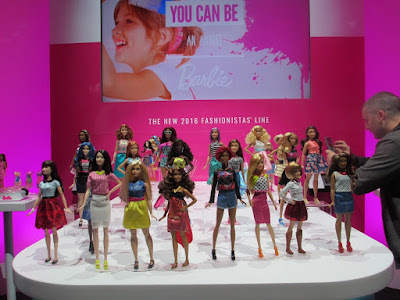 This post covers a wide variety of dolls. 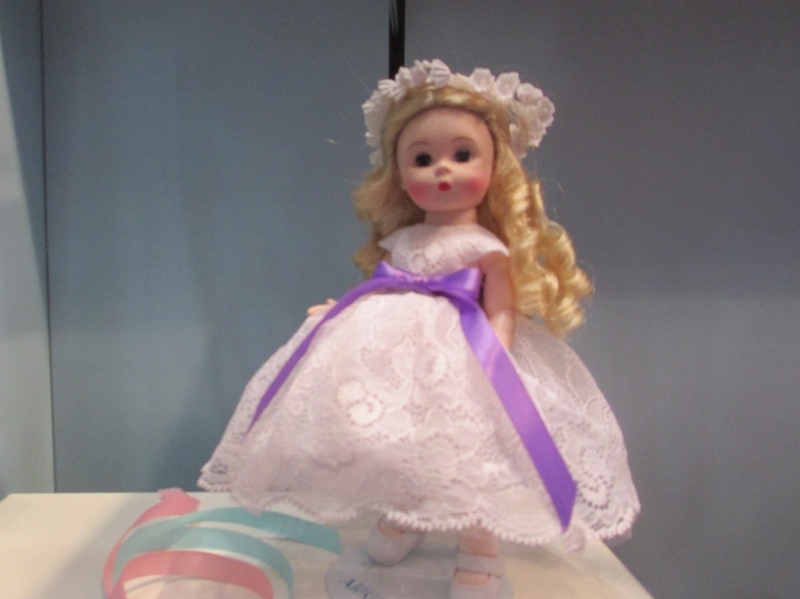 There are dolls for young children, older girls and adult collectors. 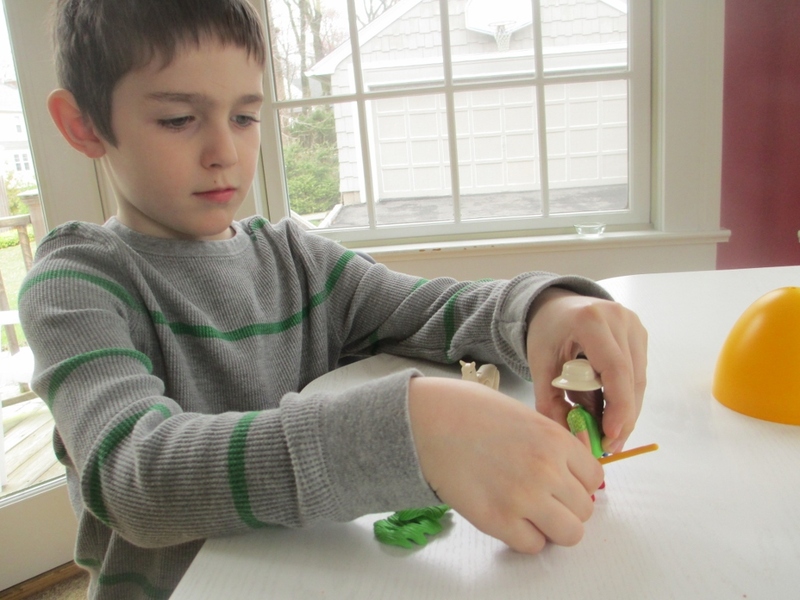 I have included popular brands, specialty brands and start-up company dolls. The collector dolls are at the end – even if you are not in the market for them I hope you enjoy reading about them. In the 80s the Cabbage Patch dolls were all the rage and they are back in full force. 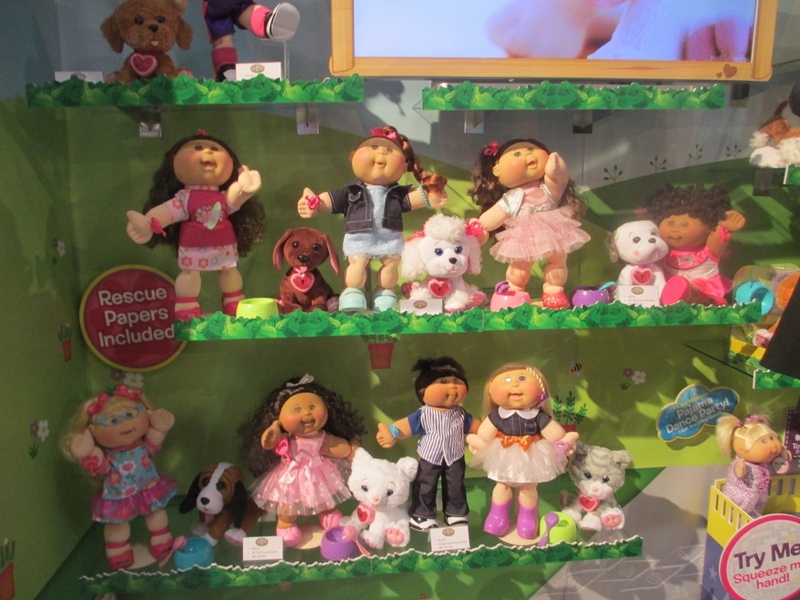 These version of the new dolls are little kids – not babies - and they come individualized with adoption papers and unique name just like the originals. Now your doll can also adopt a pet. Each doll comes with a key for the future pet’s heart (See the key on the right hand of the doll in the package). The key unlocks the pets heart. Dog and cat pets are available for the doll to adopt. They of course have their own adoption papers. I am so lucky to have received this one in the box as a sample and she is lovely. “Tamara” will be making a little girl very happy. The new Barbies have been in the news so you may have heard about them. I got see all of them at Toy Fair- even the ones not on the market yet are shown here. They are short, tall and curvy (that means a little fuller in figure). There also is a variety of hair and skin tones. All this variety is in their Fashionista doll line. It is quite a lineup. The basic doll is $9.99 and in the Spring you can purchase some of them with two additional outfits for $19.99. I bet these will be a popular birthday gift – priced just right. And every little girl can use another Barbie. I have always liked the Barbie career themed dolls and I bought “Office Barbie” for my daughter in the 80s. Today careers that women aspire to are more adventurous so here we have Renee – the Secret Agent in this Barbie Spy Squad doll. The bag she is holding has a gown in it so she can change to a secret disguise. For all the criticism, Barbie has always had a modern touch. I think that is why she endures. 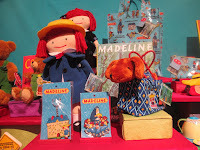 Every little girl loves the Madeline books, and this will be a loved doll. 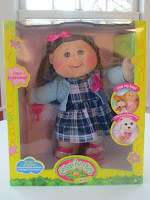 This 16 inch doll is soft with bright color she looks exactly like Madeline in the books. 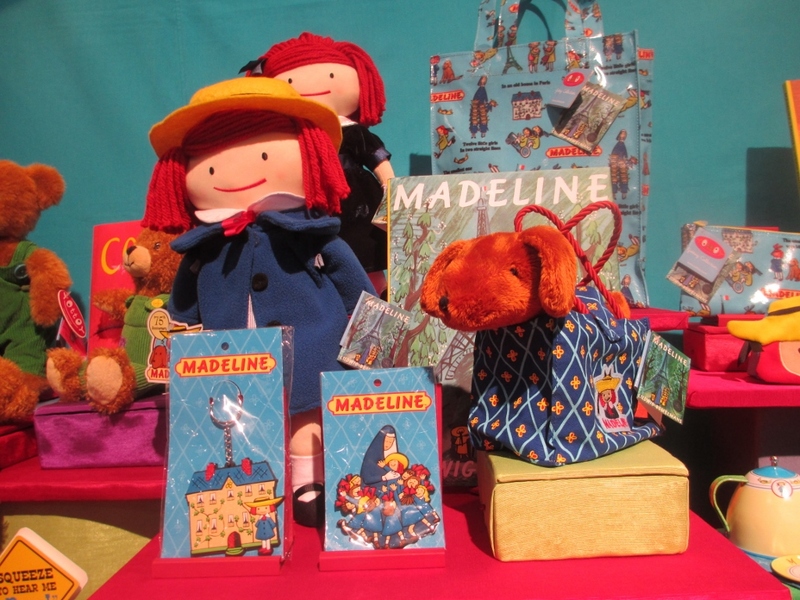 Can’t you just see her being hugged as you read a Madeline book at bedtime. She is adorable, I assure you. This doll gets rave reviews on Amazon. You can also purchase the dog Genevieve. 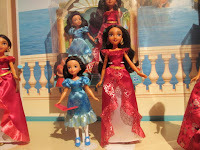 The Disney Princess dolls are very popular and little girls frequently have collections of them. 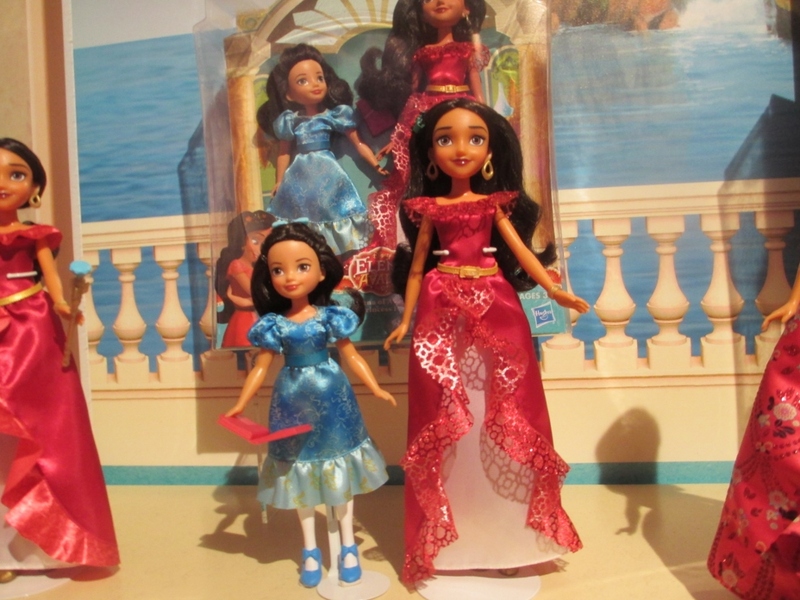 In August, Elena Avalor will become the first Latin American doll and she is spectacular. Since Latin Americans are so family oriented, Elena will also have a little sister – Isabel, who is interested in science. Corolle is the premium French Doll brand and they make exquisite dolls for children. Their newest doll is large and undressed. Bebe Cheri fits into size 3 month baby clothes so she/he can be dressed in your child’s own baby clothes. The doll can have a whole wardrobe at no extra cost. Dress her or him in a basic sleeper or a keepsake outfit. Here is the picture I took at the Corolle booth at Toy Fair. 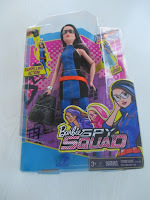 These dolls are available at specialty stores and when I see it offered at a reasonable price at Amazon I will add the link below. Billed as the “first yoga doll,” this doll is designed to move with full range of motion in her hips, arms and knees and she also has a built in spinal extender to allow for forward and back bending. She can do any yoga contortion imaginable. I saw multiple versions of this doll at Toy Fair but only Asana is available at Amazon right now while the others will become available during the year. The dolls are sized like a Barbie doll and each comes with accessories. Asana comes with a pilates ball, 2 hand weights, yoga mat, slap bracelet and hairbrush.Later in the year dolls with a different cultural look will be available. This is an authentically detailed 18 inch doll in a true Little House on the Prairie outfit. The doll will be on the market in July and a complete line of accessories will also be available including the Little House wagon, cooking set, pony and dog. If you want it all it will be hundreds of dollars. I am sure it will be a draw for collectors. The doll and whole set are really eye catching. This small Flower Girl doll is the perfect remembrance gift for the flower girl in your wedding party. She isn’t available on the market yet, but I will let you know when she is. Only serious collectors need apply. 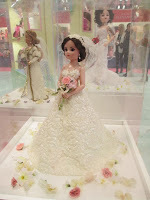 This 21 inch wedding doll is absolutely exquisite. The doll is gorgeous and so is the wedding dress. This doll, priced at $1000, is not meant to be played with. She is definitely meant for serious collectors only. And for the exceptionally serious…. Madame Alexander will recreate your own wedding dress and doll with your hair color for a mere $5000. Follow the Grandma Chronicles on Facebook and you'll see when the dolls are available on the market that aren't out there yet.